Endovenous Ablation of Varicose Veins is a minimally invasive treatment for varicose veins. Varicose veins are often found in the extremities, so the legs are involved during the Endovenous Ablation of Varicose Veins procedure. 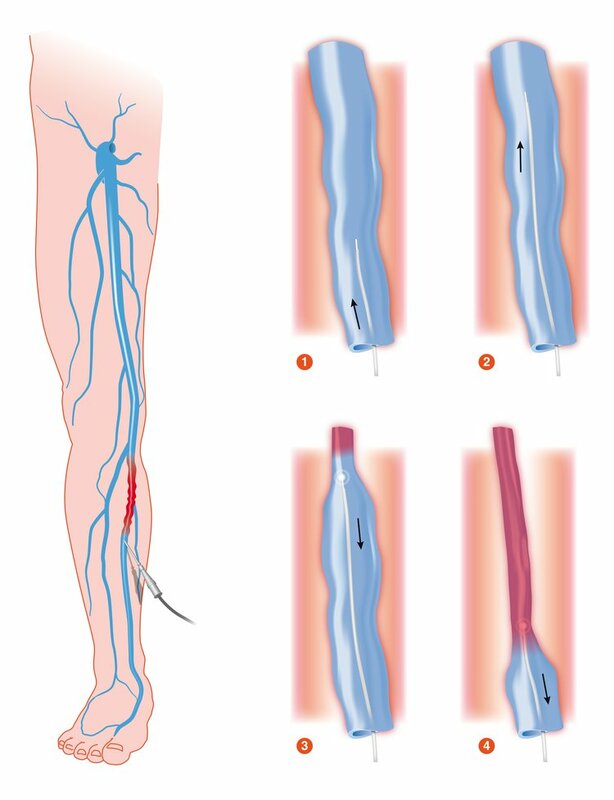 Why is the Endovenous Ablation of Varicose Veins radiology procedure Performed? There have been no recent advances in the Endovenous Ablation of Varicose Veins procedure. What is the Cost of performing the Endovenous Ablation of Varicose Veins radiology procedure? The cost of Endovenous Ablation of Varicose Veins procedure depends on a variety of factors, such as the type of your health insurance, annual deductibles, co-pay requirements, out-of-network and in-network of your healthcare providers and healthcare facilities. How does the Endovenous Ablation of Varicose Veins radiology procedure work? How is the Endovenous Ablation of Varicose Veins radiology procedure Performed? Endovenous Ablation of Varicose Veins is performed as an outpatient procedure, at a hospital. An interventional radiologist or a vascular surgeon performs the Endovenous Ablation of Varicose Veins procedure. The Endovenous Ablation of Varicose Veins procedure takes about an hour to complete. It may take longer depending upon the number of varicose veins to be treated. An interventional radiologist or a vascular surgeon interprets the results of the Endovenous Ablation of Varicose Veins procedure. A physician will request your consent for Endovenous Ablation of Varicose Veins procedure using an Informed Consent Form. What are the Limitations of the Endovenous Ablation of Variose Veins radiology procedure? Endovenous Ablation of Varicose Veins is usually used in treating large varicose veins, as it is very hard to pass the ablation catheter through small and torturous veins. Phlebectomy or sclerotherapy procedures may have to be used to treat small vein branches. What is the Endovenous Ablation of Varicose Veins procedure? What is to be expected during the Endovenous Ablation of Varicose Veins radiology procedure? Local anesthetics are used during the Endovenous Ablation of Varicose Veins procedure. Since Endovenous Ablation of Varicose Veins is a minimally invasive procedure, the blood loss involved is minimal. What are the possible Risks and Complications during the Endovenous Ablation of Varicose Veins radiology procedure? In rare cases, blood clots formed in legs may get dislodged during this procedure and may travel to lung causing pulmonary embolism. What Post-Operative Care is needed at the Healthcare Facility after the Endovenous Ablation of Varicose Veins radiology procedure? No specific post-operative care is needed at healthcare facility after Endovenous Ablation of Varicose Veins. What is to be expected after the Endovenous Ablation of Varicose Veins radiology procedure? Patients may experience some pain and bruising over the treatment area after Endovenous Ablation of Varicose Veins. Patients are required to use compression stockings to reduce pain, tenderness, bruising and to avoid forming blood clots. What Post-Operative Care is needed at Home after the Endovenous Ablation of Varicose Veins radiology procedure? Endovenous Ablation of Varicose Veins does not require any recovery time. The patients may resume their normal activities immediately after the procedure. The Endovenous Ablation of Varicose Veins procedure does not involve the removal of any body tissue. Who will you receive a Bill from, after the Endovenous Ablation of Varicose Veins radiology procedure? The patient is advised to inquire and confirm the type of billing, before the Endovenous Ablation of Varicose Veins procedure is performed.